Ahuja Continental Group has interests spread across many verticals - manufacturing / exporting of high quality Bicycle tyres & tubes / Automobile butyl tubes / Industrial paints with its registered office at C-9, Okhla Industrial Estate, Phase- I, New Delhi – 20 and Regional Office at #1109/1110, Mittal Towers, M. G. Road, Bangalore is a major manufacturer of Bicycle & Rickshaw tyres and tubes. We have manufacturing facilities with state of the art technology at Bangalore, Karnataka for manufacturing bicycle tyres and tubes. 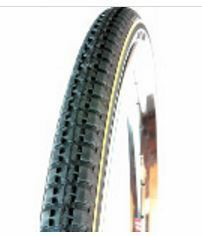 The bicycle tyres and tubes are manufactured under the brand name “YOKOSTONE™”. The production at this facility commenced from 1994 and currently the manufacturing capacity of this factory is 100,000 tyres & 75,000 tubes per day.The Company is an ISO 9001:2008 certified company and believes in Total Quality Management it is well equipped with cutting edge technology to manufacture – all types and sizes of bicycle tyres and tubes. All the products manufactured are bench marked with International Standards. To achieve this we have high end R & D centre and Quality Assurance / Control Laboratories for testing both raw materials and finished products. Ahuja Continental Group has been successfully supplying its brand of “YOKOSTONE™”bicycle tyres and tubes of for many years to a growing Indian market for the last 20 years and we are now poised to foray into the International market. Extra efforts are taken to maintain the green canopy and we strictly follow more than the specified standards for pollution and effluent control.